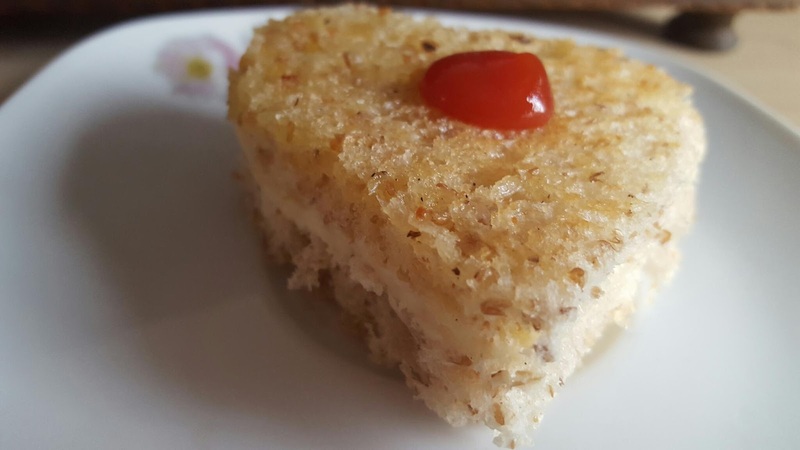 This cheese sandwich is super easy , simple and it can still win so many hearts . I made it in breakfast on valentines day morning for my lovely family . 1.Take two slices of bread toast them with butter in low flame till it gets just crisp . 2.While hot, take mozrella cheese slice and place it in between two slices of breads . 3. Press them gently , you will see cheese is melting . 4. Cut them from middle with cookie cutter of you choice .